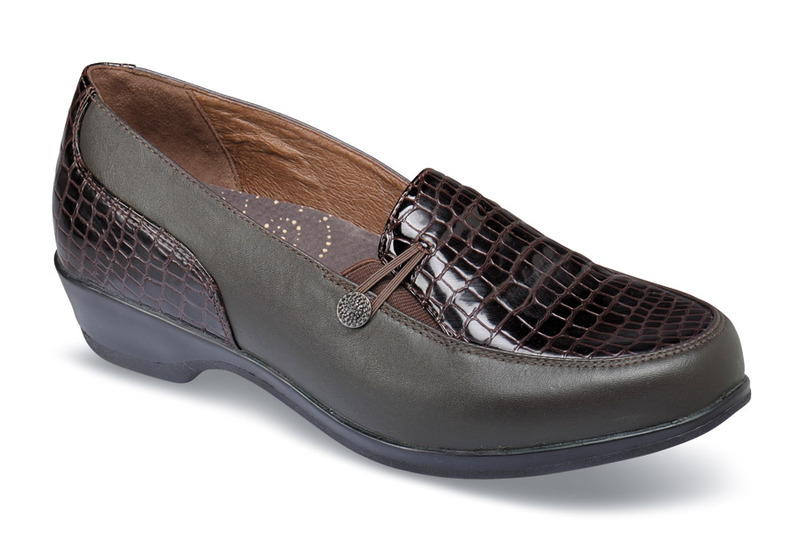 Propét’s “Briana” low-heel slip-on has uppers of leather and high-shine croco patent with dual elastic gores for a comfortable, secure fit. The leather-topped Rejuve Motion Technology footbed was designed by a podiatrist for propert foot and leg alignment. 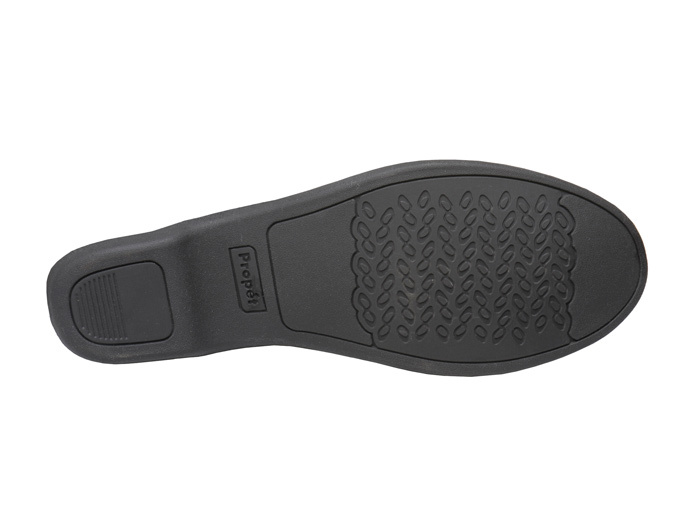 The TPR cushion outsole has a 1½” heel. Limited stock in women's sizes in 2E width in sizes indicated.